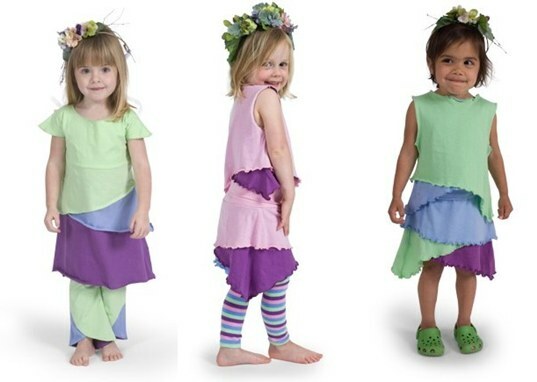 The new spring 2010 collection from Happy Green Bee caters to little girls obsessed with fairy folklore and forest pixies. Waterfalls of organic organic cotton jersey in duel pastel hues with lettuce edging and mix-and-match ease make this collection a winner. New pieces include Blossom Dress, Sprite Skirt, Pixie Pants and Wings Tank along with coordinating Footless Tights for layering, and cute striped Socks to keep feet warm on chillier spring days. Pieces have no buttons, belts or zippers to get in the way of playtime, just lots of comfort and ease of wear for your little pixie. The line is awash in pretty pastel choices such as Peony Pink, Fern Green, Bluebell and Maypole. 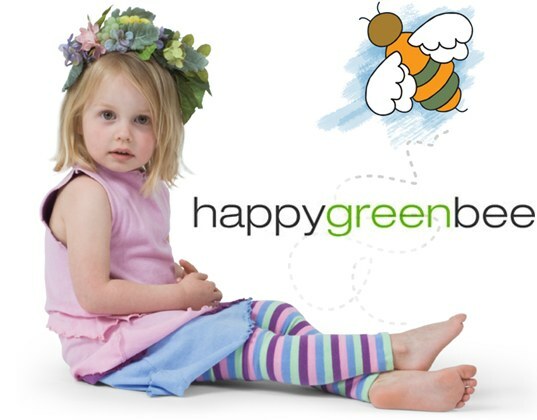 The new line, like all Happy Green Bee clothing is made with organic fabrics, non-toxic dyes and zero chemical bleaches or finishers. In addition, Happy Green Bee products are made in Fair Trade certified factories that are monitored for worker health and safety. Affordable for everyone — you can update your little girl’s spring wardrobe for under $16 per piece — an outstanding price for organics!